The United Nation’s highest human rights body, the Human Rights Council (HRC), will start reviewing on Monday the track records of 14 countries, including Saudi Arabia and China. Here’s our UN News guide to how it works and why it matters. 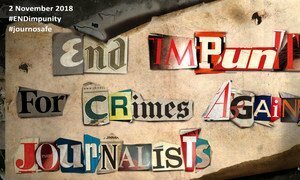 The killing of journalists around the world for doing their job is “outrageous” and should not become the “new normal” according to UN Secretary-General António Guterres. 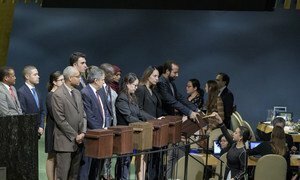 The United Nations General Assembly held secret-ballot elections for the Human Rights Council (HRC) on Friday. As of 1 January next year, the 18 newly-elected States will serve for three years on the UN’s highest inter-governmental body mandated to protect and promote human rights worldwide.